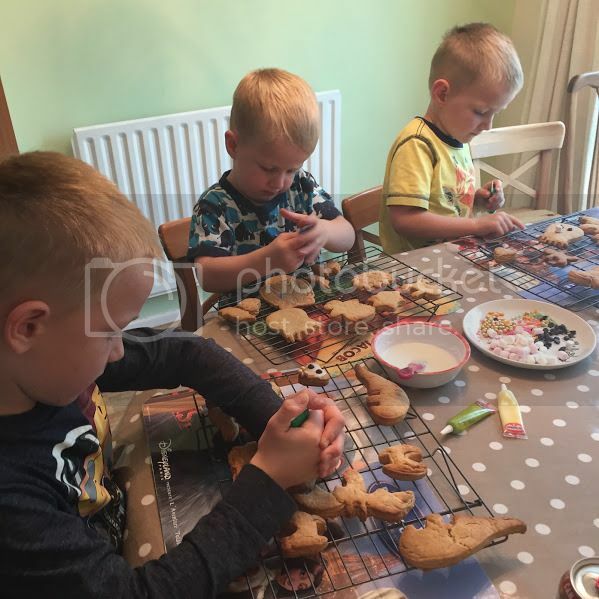 Middle man's main aim of the summer holidays was to make gingerbread men. Nice and simple and great for one of the many rainy days we seem to have had recently. 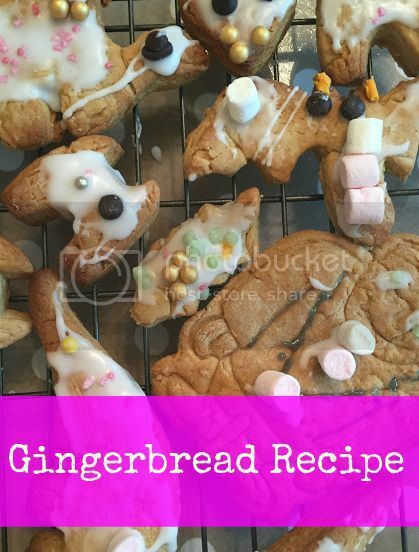 This gingerbread recipe has no eggs, and therefore is quite dry when you are kneading the dough. But it does mean that any left overs can be made into cookie dough ice cream! lots of sprinkes and icing to decorate. Melt the butter sugar and golden syrup. Stir this melted mixture into the dry ingredients. As there is no egg used in the recipe you may need to add a small amount of water to get it to the right consistency. Roll out and cut out the shapes you require. Cook for around 12-15 minutes, until golden brown. Decorate with icing and sprinkles. This activity actually bought piece and quiet to the house for a good 20 minutes. 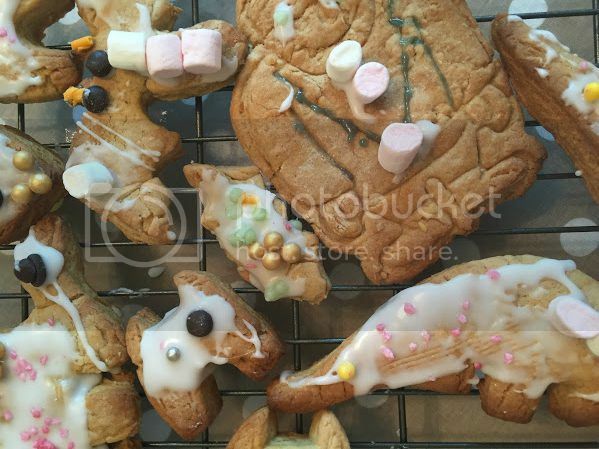 Partly from the concentration in icing their shapes and partly from eating them.